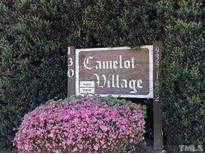 Find Chapel Hill, NC Condos for sale. View Photos, Maps and MLS Data Now! Close to Southpoint mall as well. MLS#2250351. 64. Southern Village - Urban living at its best!Stunning,light-filled,2BR,2BA condo in desirable S.Village.Ideally situated on the green overlooking town center.Features incl10-ft ceilings,42" maple cabinetry,all new stainless appliances,spacious oversized windows,new HVAC & water heater.Amazing location just a few minutes from UNC.Walk to Weaver St Market,Lumina Theatre,Al's Burgers,& many other popular S.Village spots.Enjoy summer concerts on the green.Don't miss out on this rare opportunity to live in the heart of S.Village. MLS#2250235. 132. Booker Creek - Laminate floors through out first floor & 3 years old carpet on second floor. MLS#2250128. 4613. Downing Creek - Open floor plan great for entertaining.Minutes to UNC, highways and shopping. Community pool and tennis. MLS#2249919. 266. Agents refer to "agent only" remarks for bid process. MLS#2249858. 330. 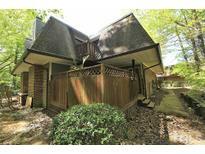 Finley Forest Condos - 5 minutes to UNC, 10 minutes to Southpoint, 15 minutes to RTP! MLS#2249465. 238. Villas At Culp Arbor - Oversized 2 car garage, private patio, MLS#2249243. 238. Vineyard Square - Office/study nook .Walk in attic great for storage. Garage. 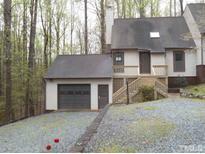 Great Chapel Hill Location MLS#2247445. 2770. Southern Village - Some have finished rooms on lower level -- this one is unfinished & used for storage. MLS#2249183. 132. Best Chapel Hill schools. On many free bus routes. MLS#2249175. 683. Providence Glen - Great screened porch for morning coffee or afternoon relaxing. Freshly painted/cleaned! Move in ready! !. MLS#2248978. 5145. Brookwood - Chapel Hill Community Center and public library nearby. MLS#2248760. 64. The Oaks Condos - Separate dining room.Great investment property! Available June 15 to close. MLS#2248529. 4532. Wonderful neighborhood with pool, playground, & dog park. MLS#2248212. 4655. Easy access to I-40, RTP, RDU airport. MLS#2248483. 3048. Woodglen - Both bedrooms are a good size; master bedroom has a window seat & direct bath access, second bedroom has a private balcony. Great for investors or owner-occupancy. MLS#2248134. 132. 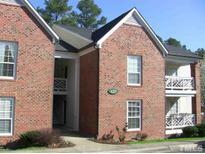 Finley Forest Condos - Great location for UNC, Duke and RTP. Close to free busline. MLS#2248422. 64. 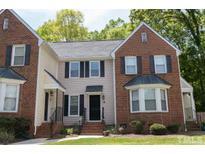 Brookwood - Walk to bus stops, shopping, restaurants and library, Best schools. MLS#2248228. 683. Airy & Elegant 1 Bed Unit in Desirable 140 W. Franklin Condos | Natural Light Cascades through Floor to Ceiling Windows | High 10 Foot Ceilings | Granite Counters, Bfast Bar, & Upscale Bosch Appliances round out the Luxurious Kitchen | A perfect pied-a-terre weekend home dropped in the Heart of everything UNC | 24 Hour Concierge, Rooftop Clubroom, & Fitness Center with Yoga Studio | Live 2 blocks from UNC Campus in Chapel Hill's New Town Center with Restaurants & Shopping! MLS#2247767. 350. The location can't be beat, with easy commutes to Chapel Hill, Durham or Raleigh! MLS#2247428. 81. Finley Forest Condos - An absolute gem in the always popular Finley Forest community with too many upgrades to count | Just steps to UNC Friday Center and bus line | Easy access to grocery & restaurants | Close to UNC campus and I-40/RTP | This 2 bedroom/2.5 bath home features new Bamboo and tile flooring on the main level with carpet upstairs | Kitchen and baths recently upgraded with Quartz countertops | All appliances, washer and dryer included | Private fenced-in patio | HOA includes pool, tennis, basketball, & clubhouse | MLS#2247862. 350. Finley Forest Condos - Master has en suite bath, walk-in closet. MLS#2247868. 132. Villas At Culp Arbor - Premium lot offers Private Patio w/gas Fire pit & lovely view-Bright open living w/cathedral ceiling/big Living Room/defined yet open dining space & wonderful cook's Kitchen-Double ovens/large island & dining bar-Bright study or 2nd sitting area-Split Bedroom plan-Large Master Bedroom w/cath ceiling/big Walk in Closet & Bath-Laundry Room w/sink-Oversized Garage-N'hood trail to pond, nice pool & clubhouse-Great 55+ n'hood convenient to everywhere MLS#2247798. 4001. Village West - Upgraded features include fresh interior paint, new carpet in select rooms, and a new HVAC system. MLS#2247651. 4823. 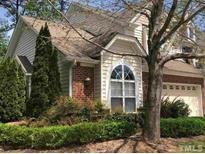 The Oaks - Desirable Oaks community with clubhouse and pool, convenient location to everything, Chapel Hill schools! 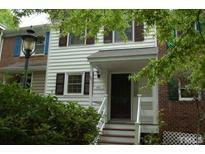 MLS#2247079. 5026.